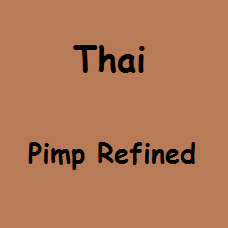 As far as I am aware the Thai to English translation for this comes out like - Pimps Kratom - or - Pimp Grade Kratom -. 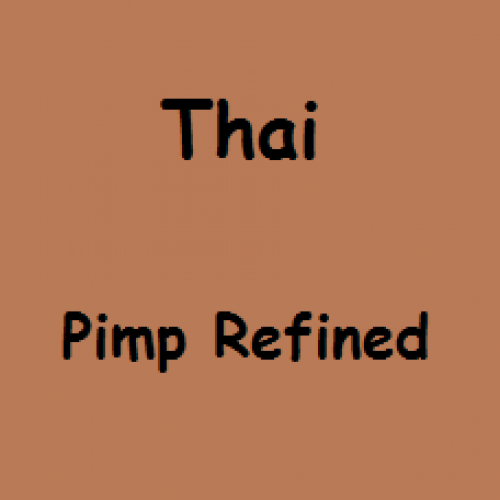 This is a strain that has been hand selected in Thailand for its strong effects. Basically this leaf is VERY strong and active at only about 1 or 2gm which is pretty insane for a kratom leaf. As with Premium Kratom, before powdering all the stems and veins are removed. After this first grinding, this is done a second time, but after this second grinding we use airpressure. The Kratom powder is poured along the airflow. The dust of the powdered leaves is collected in containers, the heavier stems and veins will be falling down and used for other things. This is to make sure there are absolutely no stems and veins left. This makes the Refined powder at least twice as strong as the normal Premium. From one kilo Premium we can only make 300-400 gram Refined. Price is per 50 gram, shipping cost included. If you decide that you want the Kratom in capsules, you wil get 50 gram capsules. The weight of 1 capsule is approx 0.1 gram and contains about 400mg (0.4 gram) Kratom. So you will receive 100 capsules Kratom.